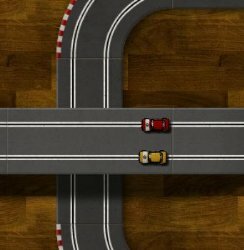 A fast, fun, and furious slot car racing game. 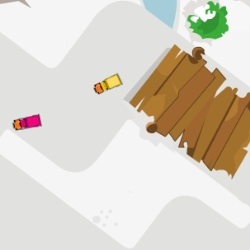 Race around the track against another opponent and be the first to complete 2 laps. Burn rubber to win the race, but slow down around the corners, or you'll go flying off the track. 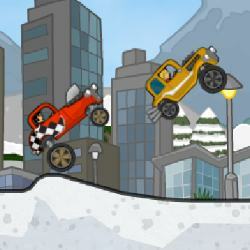 Hold the LEFT MOUSE BUTTON or SPACE BAR to accelerate and release to slow down. Accelerate on the last beep to get a boost at the start. 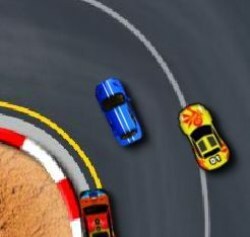 Click here to send Slot Car Grand Prix to your friends using your default email program.